What's Happened to Reading? 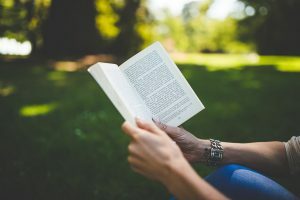 - Pharos Alliance, Inc.
Time magazine recently reported on an American Psychological Association study that a third of U.S. teens haven’t read a book for pleasure in over a year. This struck me as a combination of sad and a little scary. Reading is important for young people for so many different reasons. Aside from the obvious ones, such as building vocabulary and their own writing skills, it helps build their critical thinking and even their social skills. The time spent reading has been replaced by time spent on social and other digital media, which doesn’t have the same impact on their intellectual development. This will become our problem as today’s teens are our future employees. A related question to think about, though, is how much are you reading today? Most people I know are reading less, what with so much to do and so little time. One idea that has worked for some is to have a variation on a book club. It can be part of a monthly management meeting or even a standalone lunch and learn. People can rotate being the “reader of the month” and report on what they read and how the principles apply to your organization. That second part is the most important. Simply reporting a summary of a book or article doesn’t have the same value as applying your own critical thinking to what you’ve read. It will strengthen everyone’s thinking and will elevate your managers’ evaluation skills. In the meantime, with Labor Day weekend approaching, think about picking up a book that you’ve wanted to read for a while. You’ll find it to be a welcome diversion! ← Have You Taken Vacation?